We write as survivors of sexual assault and their loved ones urging you to publicly commit to rejecting Brett Kavanaugh's confirmation to the Supreme Court. According to Ford, she was sexually assaulted by Kavanaugh, which disqualifies him from holding any office in government, let alone the Supreme Court. It proves that Kavanaugh neither has the character nor the integrity to be a Supreme Court justice. It also confirms his harmful disregard for the rights of people, particularly women. Violence against women is an epidemic in this country: one in six women will be sexually assaulted in their life time, and nearly a third of women in the U.S. have experienced domestic and dating violence. 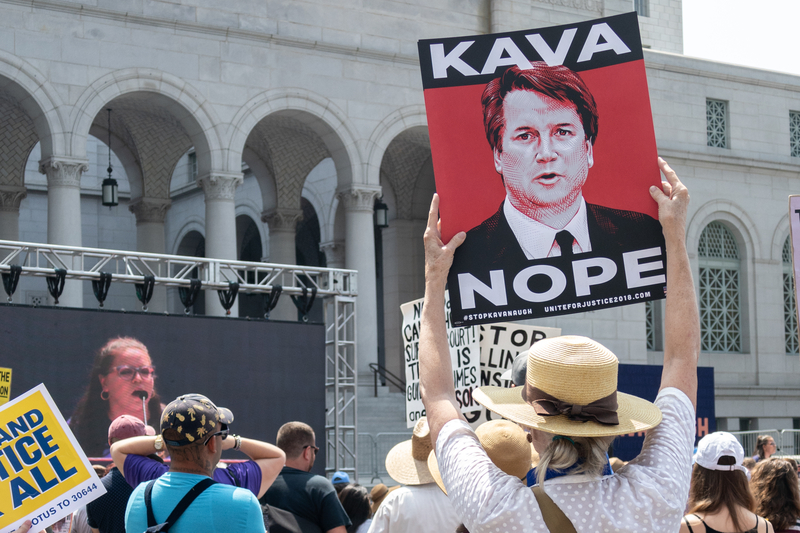 We ask that you publicly oppose Kavanaugh and call to cancel the vote on his confirmation. Kavanaugh already poses a threat to millions of people, especially women, Indigenous people, LGBTQ people, and poor people--the very communities that consistently endure sexual violence at unspeakably high rates. Kavanaugh's record shows the repeated dismissal of the rights of people from health care access, to reproductive care, to workplace justice--all crucial to the prevention of sexual violence and to adequately supporting survivors of such violence. We urge you to side with survivors and women, and prevent Kavanaugh's confirmation to the Supreme Court.